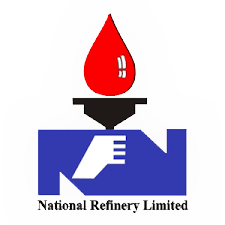 NRL’s two Lube Refineries were installed with a time gap of nearly 19 years with each other. The starting point of first Lube Refinery is a Crude Distillation Unit and subsequent Vacuum Distillation Unit, whereas the Second Lube Refinery directly starts with a Vacuum Distillation as it takes feedstock from Fuel Refinery’s Crude Distillation Unit. Whereas the downstream process units are same in basic technology, the Second Lube Refinery being designed in Eighties has more sophisticated, advanced and energy efficient plants. The primary process unit of the Lube-I Refinery is distillation of electrically Desalted Crude Oil in two stages. In the first stage, the atmospheric distillation; the relatively light fuel components, Gases, Naphtha, Kerosene and Light Diesel Oil are separated from the parent Crude Oil. The remaining reduced crude (Furnace Oil) is then processed under vacuum in the second distillation stage to produce Gas Oil (Diesel), Lubricating Oil Distillates and Vacuum Residue. The second Lube Refinery starts with a vacuum distillation unit. The feedstock (Reduced Crude) obtained from Fuel Refinery is converted into High Speed Diesel Oil, Light Diesel Oil, Lubricating Oil Distillates and Vacuum Residue. The heaviest residual portion of the vacuum distillation is channeled through this unit for the production of the heavy lubricating oils and asphalts. The separation of these two intermediates is effected at this unit by a Propane Solvent Extraction process. Same PDA unit installed at second Lube Refinery is designed with an improved extraction of heavy lubricating oil with minimal losses of Propane Solvent and energy. Lubricating oils distillates from Two-Stage Unit and from Propane Deasphalting Unit are processed here turn by turn, for extraction of undesirable hydrocarbons with furfural solvent. This improves the colour of the oils and enhances their ability to maintain their lubricating properties under varying temperature conditions. Nine intermediate lube base oils are produced at this unit, which are called Raffinates. The ‘undesirables’ for lubes called Extracts are sent to the refinery asphalt production unit or sold as Speciality Oil. The Furfural Extraction Unit installed in second Lube Refinery, employs advanced techniques ensuring better solvent recovery and energy conservation. In this unit, the wax content in Raffinates coming from Furfural Extraction Units is removed by process of extraction with a mixture of Methyl Ethyl Ketone (MEK) & Toluene solvent mixture. Subsequent filtration at very low temperature is achieved by a process of Propane refrigeration. All the nine lube intermediates from the Furfural Extraction Unit are subjected, in blocked-out operation to this dewaxing process. This process improves pour point or cold flow properties of lubricating oil. The wax separated in the process is also marketed as a product called Slack Wax. At M..E.K. Dewaxing Unit of Lube-II Refinery, the process has been improved which has resulted in higher yields and has considerably reduced solvent losses. Provisions have also been made in the process for the maximum heat recovery thereby improving the efficiency. In this final processing stage, the lube base oils are stabilized and their colour is further improved by hydrogenation under severe operating conditions in the presence of a catalyst. The hydrofinished lube oils are dispatched to refinery storage tanks for distribution to Oil Marketing/Lube Oil Blending Companies.